Not much going on today. Started a new pair of socks, but they aren’t far enough to comment on. Here are a couple flower pics. 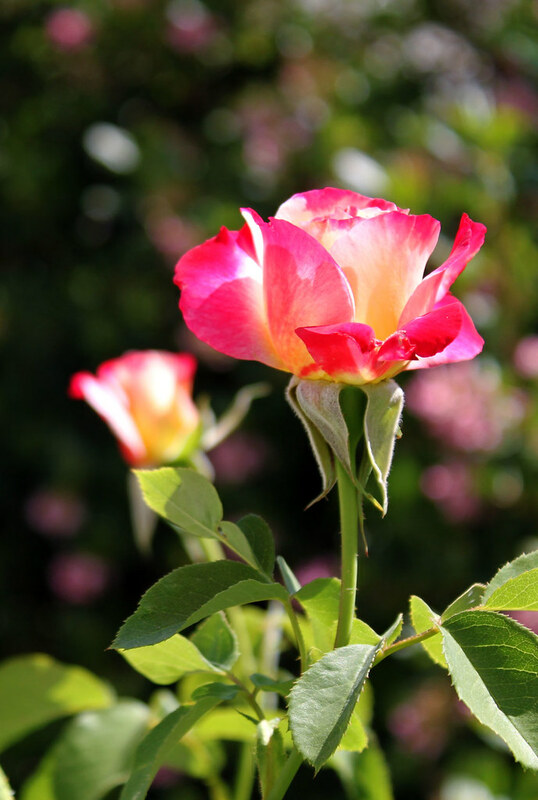 I liked the rose up against the hedge which is in bloom. 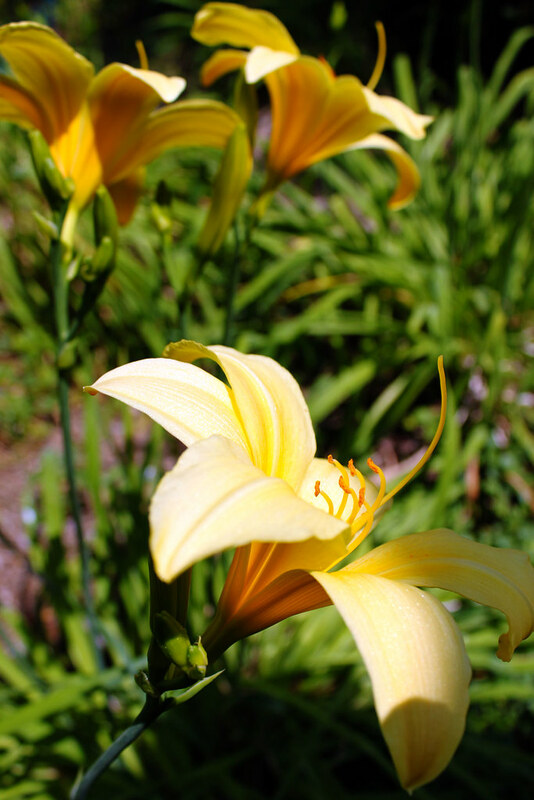 The day lilies are blooming again too. They bloom off and on all year, though I have never figured out their schedule. This entry was posted on Thursday, May 28th, 2009 at 3:00 am and is filed under Garden. Tagged: Garden, Photo. You can feed this entry. You can leave a response, or trackback from your own site. Great depth of field on the photos!